Sri Lanka is a key component of China’s 21st Century Maritime Silk Road with Hambantota Port and Colombo Port City as the two flagship projects of cooperation between China and Sri Lanka under the Belt and Road Initiative, Chinese Ambassador Cheng Xueyuan said. He said under the guidance of consensuses reached by leaders from the two countries, China-Sri Lanka economic and trade cooperation will inject new vigor to Sri Lanka’s economic and social development, enable development achievements to better benefit its two peoples, and let ordinary people get more sense of gain. Cheng further said that in November, China will hold its first China International Import Expo (CIIE) in Shanghai, which is the world’s first import-themed expo and a major measure of China to further open its market to the world. “Sri Lanka’s black tea, rubber, gems textiles and other featured products will come to Shanghai, exhibiting the charm of Sri Lanka to the huge Chinese market. 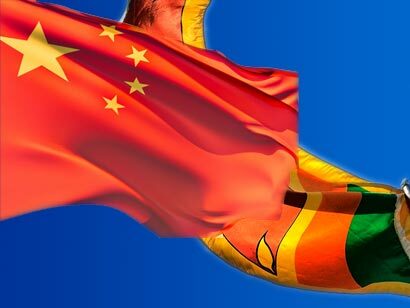 We believe that China-Sri Lanka traditional friendship will continue to deepen on this new platform,” the ambassador said.